Whether she wins Wimbledon 2017 or not, Venus Williams remains the most polished, complete player on a WTA tour rich with improving young players. In the eyes of many reporters and fans, her only “weakness” is her age, 37. What if her age, 37, is an advantage? When I asked Garbine Muguruza what makes Venus different than other players, she cited her experience of 20 Wimbledons, and knowing how to deal with pressure and playing the important points. Muguruza said that she herself feels more confident and composed in pressure situations, but her record the past few years shows a tendency toward inconsistency and emotional roller-coasters. Compared with Venus, who has won five titles at Wimbledon, other contenders to win The Championships are basically “works in progress”. Jelena Ostapenko can slug toe-to-toe with Williams, but Venus took advantage of Ostapenko’s flawed service mechanics and creampuff second serves at 70 mph. 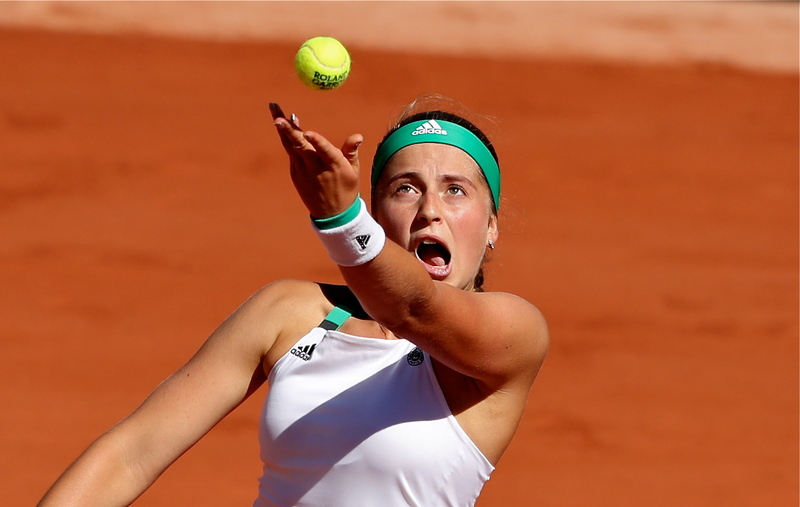 Ostapenko, 20, has many years ahead of her to eliminate weaknesses and improve her game to the highest levels. So do players such as Simona Halep and Jo Konta. Venus has done it. Nobody else has, at least at Wimbledon. 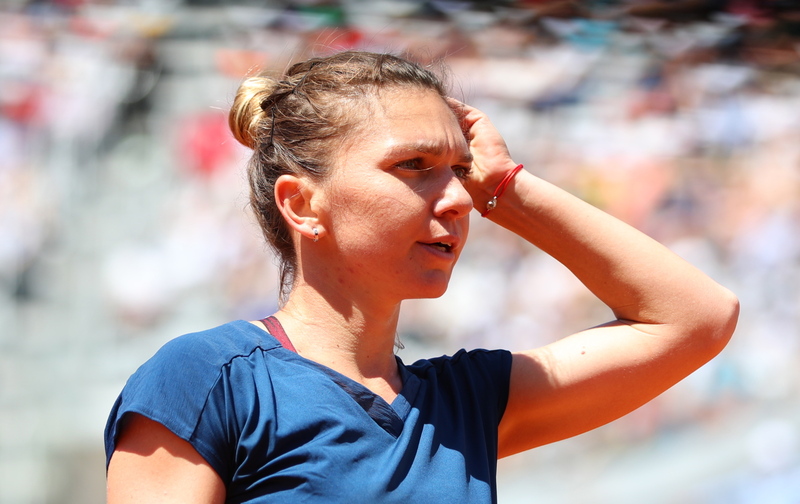 Halep, 25 and Konta, 26, played a thrilling quarter with heroic flashes on Tuesday, but both showed inabilities to consistently impose their games and hold leads. Konta, serving well all tournament, repeatedly took leads in points and games but had trouble closing, and she showed poor shot selection taking aggressive swings at aggressive targets from defensive positions — instead of just defending. Halep put up a defensive wall but also couldn’t hold her first set lead, and she eventually broke down under Konta’s pressure. 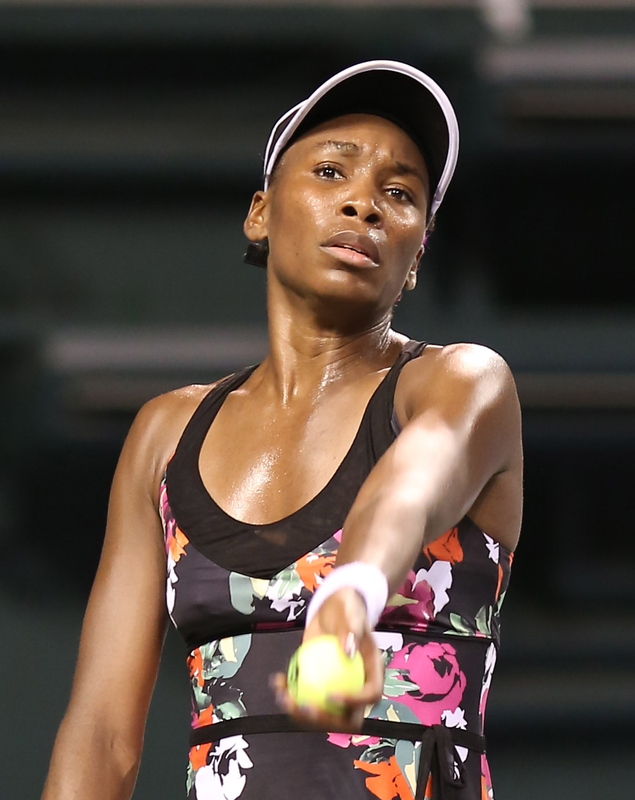 These were relatively rookie mistakes compared to the solid performances of Venus. Naomi Francois “Osaka”, also 19, hit fizzing slice serves out wide and a 117 mph body blow in the round of 16, but Venus found success targeting her backhand volley, which is very much a work in progress. Venus herself isn’t perfect. But she has long established her identity and figured out winning formulas. She’s clearly the favorite to win Wimbledon. Her age, 37, should make all the difference. ← As luck would have it ….